Home Visit M.D. offers quality in-home care for patients with numerous chronic conditions involving functional and/or cognitive complications. This high risk/high utilization population often has numerous healthcare providers and multiple medications. This may cause confusion, a medical crises and additional health costs. Collaboration between our Independence at Home Program and (ACOs) helps eliminate uncertainty and disorder. Home Visit M.D. 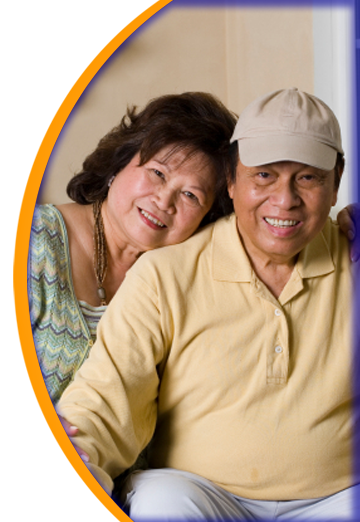 assists patients from health facilities to home care with our Independence at Home Program. Our services range from a home visit to aggressive long-term care. The majority of patients with chronic conditions experience difficulty scheduling and coordinating their required multiple office visits. Many fail to make their appointments and later seek emergency care. 4% of Medicaid beneficiaries with two or more chronic conditions account for 50% of expenditures. Currently 25% of Medicare beneficiaries with two or more chronic conditions account for 85% of costs. Home Visit M.D. chronic care coordination programs specifically targets the top 5% of the high-risk and high-cost patient population. Our physician house calls, chronic healthcare management and Independence at Home Program eliminate patient frustration and fears while reducing costs associated with the chronically-ill hospital admissions, readmissions, urgent care, emergency room visits and acute hospital stays. Most chronically-Ill patients qualify for our Independence at Home Program.